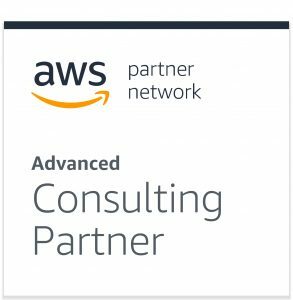 As AWS Advanced Partners, we provide AWS cloud infrastructure managed services including architecting, migration, security, maintenance and monitoring of your AWS environments with a security and compliance emphasis. 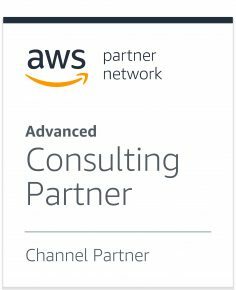 We are qualified and fully accredited Advanced AWS Consulting, Channel Reseller and Public Sector Partners. As an Advanced AWS Public Sector Partner we have the experience and expertise to assist Government, Education, and Not for Profit organisations in the public sector community. Our AWS team of certified Architect, SysOps and Dev consultants will assess your needs and provide expertise and optimized solutions to meet your business requirements. Our team will assess your existing cloud infrastructures for opportunities for improvement, cost optimisation and alignment with best practices and security standards. Our AWS certified Development teams are available to assist your team migrate to AWS or develop your applications for AWS. As AWS Channel Partners we offer our customers the option to be invoiced by us in ZAR for AWS usage. No credit card required. Cost savings and, if eligible, access to Proof-of-Concept (POC) credits to facilitate or accelerate AWS adoption or projects. Our services include security and compliance, with significant expertise and experience in assisting customers to secure their cloud infrastructure and to achieve & maintain compliance. We provide customers with guideline AWS architectures, inclusive of usage estimates, optimized for their requirements, for free. These architecture guidelines are based on AWS and security best practices. Our teams build out and assist customers with migration to scalable, highly available, secure and optimized AWS infrastructure. AWS has a shared Security and Compliance responsibility model. We provide customers with fully Managed Services, inclusive of maintenance, monitoring and alerting, patch management, security hardening and related services, relieving customers of this operational burden. We continually analyse your AWS usage, optimize your architecture and implement controls to deliver cost saving. CloudHealth is available to our customers free-of-charge. CloudHealth performs cost, best practice & security analysis and reporting for optimization and management. Electrum Payments provides enterprise software that represents the next generation of payments technology. Major retailers & financial institutions use Electrum’s technology to accept payments, process financial transactions, and provide value added services. To become this force in their industry, Electrum needed infrastructure that could scale to meet the demands of their increasing client base and that would allow them to create a gateway switch for Electrum’s enterprise clients to engage with their clients, while maintaining strict security compliance. Silicon Overdrive met with Electrum’s decision makers to discuss how we could assist them with reaching their goals. With a very tight deadline, Silicon Overdrive architected a solution, which included deploying services such as EC2 instances for computing power, RDS for relational databases and CloudFront for delivering content. Following the deployment of their infrastructure in AWS, with the guidance and assistance of Silicon Overdrive’s AWS team, Electrum deployed an enhanced USSD for banks and have since successfully converted their environment from Infrastructure as a Service to Software as a Service, thereby increasing their turnover and profitability. They now process billions of transactions, in milliseconds, per annum and provide their customers with 99.999% uptime. Silicon Overdrive also assisted with the implementation of Value Added Service (VAS) systems for Electrum’s large retail clients (airtime, entertainment and travel tickets from their stores). Silicon Overdrive continues to provide technical assistance in building out their environments and monitoring, securing and maintaining these environments. Founded in 1996, PayGate wanted to become a force in the payment gateway industry, both in Africa as well as internationally. To reach this goal, PayGate needed to scale their infrastructure to accommodate the traffic that would come with taking on more customers but where found that there were no data centres capable of providing them with the correct security and compliance needed to growth their business. PayGate needed a solution which would allow them to increase their client base, maintain high security, and become PCI compliant, while at the same time be a cost-effective option. Silicon Overdrive’s AWS certified engineers met with PayGate to map out a solution which would cover all of their requirements. Silicon Overdrive proposed that PayGate’s environments should be rebuilt on AWS and implement segregation, allowing them to deploy servers securely for each role. Moving PayGate’s infrastructure to AWS would ensure that their environment would adhere to best practice security and compliance standards and, as PayGate would only pay for what they use with AWS, Silicon Overdrive was able to present a solution which would also be cost effective. With the assistance and guidance of Silicon Overdrive, PayGate has ensured that they continue to be PCI Compliant six years later and Silicon Overdrive has architected over 60 server instances and set up numerous applications, allowing PayGate to process more transactions per minute, increasing their overall turnover considerably. PayGate remains one of Silicon Overdrive’s valued Clients, signing on for one of our tailored support and maintenance agreements, ensuring that their infrastructure is maintained on a continuous basis. PayGate is now one of the leading payment platforms in Africa and counts some of the continents’ largest and most well-respected companies as their Clients, as well as some internationally recognised organisations. The University of Pretoria approached Silicon Overdrive to improve the security and performance of its website. Silicon Overdrive’s AWS certified engineers ran an assessment of the current environment against the AWS Well-Architected Framework and security best practices. The outcome was to architect and build out an entirely new environment using AWS services such as Amazon EC2, Amazon RDS, Amazon Route 53, Amazon CloudWatch, AWS Identity and Access Management and Amazon EFS to meet University of Pretoria’s needs to ensure high availability, security and compliance. Silicon Overdrive architected and built out the University of Pretoria’s infrastructure according to AWS and security best practices to meet the University’s requirements for a cost optimised, high availability, secure and compliant hosting environment. The AWS team worked with the University’s management and software development team to successfully migrate to this new environment. 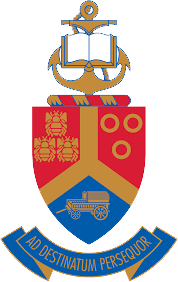 Silicon Overdrive continues to support and maintain the University of Pretoria’s new environment under a Managed Service Level Agreement. FlexPay Technologies enables companies to offer their customers flexible ways to pay for their products and services. Whether it’s retail shopping, school fees, tour and travel or crowd funding, FlexPay provides a financing management platform of flexible, instalments and payment options. To meet an increasing demand for their services, FlexPay needed a scalable environment to migrate their application to, with high availability whilst ensuring security compliance. FlexPay approached Silicon Overdrive to assist with developing an environment capable of supporting their burgeoning e-commerce business. Silicon Overdrive’s AWS-certified team architected and engineered an entirely new, highly available, auto-scaling production environment in accordance with AWS Best Practices, making use of Amazon EBS volumes with Encryption for data at rest, Amazon S3 for Backups, Log storage, website content and media storage, as well as Amazon SES and Amazon SNS for notifications. Silicon Overdrive’s solution also included the use of Amazon CloudWatch, AWS Lambda, AWS CloudTrail and Amazon Route 53. FlexPay now operates a secure, compliant and reliable Magento-based environment, capable of supporting their business and budgetary requirements. Silicon Overdrive worked closely with FlexPay’s team to ensure a smooth, efficient and seamless migration from their legacy system to their new environment. Silicon Overdrive continues to support FlexPay’s environment. FileFlow saw a business need to put their clients in control of the compliance document collection process using a simple, white labelled, mobile-compatible web interface. The application needed to collect documentation, create automated email reminders requesting the documents on their customer’s behalf and allow them to revise the documents while creating a full audit history. To achieve this, they needed a platform and application which was secure enough to collect and store this data, with high availability and scalability. FileFlow and Silicon Overdrive’s certified AWS engineers architected a solution using AWS services which included Amazon EC2 for the hosting of the website and web applications, Amazon EBS volumes with encryption for data at rest and Amazon MySQL RDS for database hosting, in multi-AZ also with encryption for data at rest. Amazon CloudWatch and Amazon SNS were also used for monitoring, alarms, notifications, and scheduled backups and tasks and Amazon S3 was also used for file, log and backup storage, ensuring high availability, security and compliance. File Flow and Silicon Overdrive architected and built out FileFlow’s infrastructure according to AWS Well-Architected Framework and security best practices to meet their requirements for a scalable, highly available, secure and compliant hosting environment. The completed deployment was a simple, white labelled, web interface which is mobile compatible, giving their customers more control over the documentation collection process and thereby increasing the operational efficiency of their customer’s business. Silicon Overdrive continues to support FileFlow’s environment.